Mission Statement: To promote peace and heal deep wounds among Jews, Lithuanians, Poles, Russians and Ukrainians. Bohdan Khmelnytsky (Богдан Хмельницкий) (1595 - 1657) was Hetman of the Zaporozhiyan Cossacks. In Ukraine, Bohdan Khmelnytsky is hailed as a founder of Ukrainian Cossack State, supreme war leader and a patriot. In this article, we will expose the ugly truth about Bohdan Khmelnytsky and his cronies. Together with Muscovy Tsar & the Crimean Khan, Khmelnytsky conspired to destroy and loot entire Eastern Europe. Their gangs brutally massacred 800,000-1,000,000 Jews, Poles, Lithuanians and Ukrainians. Then, Poland, Lithuania, Ukraine and Moldova descended into an era of total desolation. Let us analyze the major historical events. Bohdan Khmelnytsky, as most of the Cossacks and Ukrainian peasants, belonged to Greek Orthodox faith. He was a leader of over a hundred Cossacks and reported directly to the Polish magnate Koniecpolski. In 1645 the Chief Elder Daniel Czapliński was officially ordered to seize Khmelnytsky's Estate. 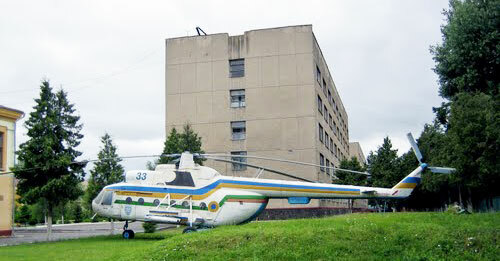 During the raid, Khmelnytsky's wife was abducted and his young son was terminally injured. Chaplinski was aided by a Jewish leaseholder, Zachariah Zabilenki. Another Jew reported secret treaty between Khmelnytsky & Crimean Tatars to the Polish government. These events embittered Khmelnytsky against the Poles and the Jews. But Khmelnytsky's great ambition was to be a Dictator of Ukraine. For years, Ukrainians were oppressed by the Polish Gentry and Jewish landowners. Capitalizing on the growing hostility, Khmelnytsky instigated Ukrainian uprising against the Poles & Jews. Then he sold off collection rights to the Jews for a lump sum. But publicly, Khmelnytsky told Ukrainians that the Poles had sold them off as slaves to the "accursed Jews." This built up a massive animosity between Ukrainian peasants, Polish Gentry and Jewish landowners. In 1637, Cossacks killed 2,000 Jewish landowners and tax-collectors in Pereyaslav. In 1648, the Cossacks, Muscovy Tsar troops and Crimean Tatar gangs brutally massacred 300,000 Jews and Poles. The Polish–Lithuanian Commonwealth was an alliance between the Kingdom of Poland and the Grand Duchy of Lithuania. In the late 15th century Catholic Church persuaded the rulers of Spain, France and Britain to expel all Jews. The Polish–Lithuanian Commonwealth Elite invited these Jews to their lands. The Commonwealth's economy was very weak and its population in poverty. After the Jews' arrival, the Commonwealth's economy exploded. There was a wonderful symbiosis of Poles, Lithuanians, Ukrainians and Jews. Together they engaged in business ventures, agriculture and Commonwealth defense. The Jews also provided funding for major projects. The Polish–Lithuanian Commonwealth flourished to the envy of its neighbors: Muscovy, the Crimean Khanate and Turkey. In early 16th Century, the Polish magnates Wiśniowiecki, Potocki and Konetspolsky settled in what is now Ukraine. They assigned Jews as trusted agents to manage their property, gather taxes and occasionally administer law. In a few short years, the Jewish population in Ukraine grew dramatically. For many decades, Polish–Lithuanian Commonwealth was the major food and raw materials supplier to Western Europe. In 1580, influential writer Michel de Montaigne wrote: "there was an abundance of meat in meat shops and taverns - beef, lamb, pork, chicken, pigeon, goat, lamb ..." Major French Renaissance writer François Rabelais endlessly talked about game birds: crested and common heron, wild swans, young partridge, large sandpiper, quail, turtle, pheasant, lark and water-hen. In the late 15th century Germany, Duke of Saxony ordered a decree: "Everyone knows that the artisans should receive for his midday and evening meals, a total of four dishes. 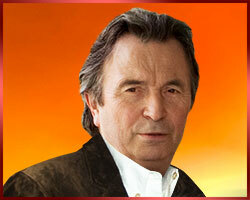 For Lenten day - soup, two meat and vegetables; to Fridays - Soup, fresh or salted fish and two vegetable dishes. " Famous economist Fernard Braudel evaluated the "Meat and Grain Trade" between the Commonwealth and the Western Europe during 1600: The Polish–Lithuanian Commonwealth supplies Western Europe markets with ~400,000 head of cattle by land and sea. In 1646, many European states, including Poland, allied to oust the invaded Turkish troops. Polish King of Poland Vladislav IY sent his Chancellor Ossolinsky to ally with the Ukrainian Zaporozhiyan Cossacks. However, the Polish Gentry feared their rights would be curtailed and rejected this alliance. Then the Commonwealth was diplomatically isolated. In 1648, after 184 years, the Commonwealth attempted to formally add Ukraine (Ruthenia Duchy) as an equal Member. In May 1659, the Polish Parliament ratified the treaty. But, conveniently, Bohdan Khmelnytsky started an uprising against the Commonwealth. The treaty was abandoned and Ukraine's future was destroyed. In late 15th century, runaway serfs (Ukrainians, Polish, Russians, Moldovans, Romanians) fled the Commonwealth into wild steppes of Ukraine. They named themselves Cossacks and engaged in petty trade, hunting & fishing. But, from the south, Crimean Tatars constantly raided, looted, killed and abducted Cossacks as slaves. This forced Cossacks to self-organize in semi-military units and establish fortified settlements. The entire Cossack organization was under the leadership of a hetman. In 1569 the Ukrainian Prince Vishnevetskii constructed a "Zaporizhya Sich" Fortress on the Dniepr river island Khortytsya. He recruited Cossacks to protect the Commonwealth from invading Crimean Tatars. Many Jews also joined the Cossack forces and earned profound recognition: Barak-Hero, the elder Elijah Karaimovich, Colonel Meloh Baruhovich and others. In 1476 the King of Poland Chasimir Jagiellon seized Ukraine as a Polish Province and abolished its centuries-old government. All cities, towns and villages of Ukraine were given to Polish nobles, Gentry and select Zaporozhiyan Cossacks. The Ukrainian Orthodox villagers were enslaved. The Commonwealth Elite assigned Zaporozhiyan Cossacks a heavy and dangerous service to protect the southern borders. But the Zaporozhiyan Cossacks were discriminated, underpaid and excluded from the Soldier Roster. Then, the Commonwealth King Stefan Batory tried to disband them, but failed. The Zaporozhiyan Cossacks felt betrayed. In 1569 King Sigismund Augustus merged Poland, Ukraine and Lithuania into a single state. Several Ukrainian Provinces (Volhynia, Podolia, etc.) were now under Commonwealth rule. All of these events reached a boiling point between Zaporozhiyan Cossacks and the Commonwealth Elite. King of Poland Sigismund III (1587-1632) was an obedient Jesuits disciple. Under his orders, anti-Semitic decrees became an official Commonwealth policy. Guild Merchants, fearing Jewish competition, actively supported the King. But, the Polish Magnates and Gentry, depending on the Jewish support, blocked the King's decrees. With each passing year, there were thousands of new Jesuit Missionaries flooding the Ukraine. The Jesuits were persistent with their strategy of forced conversions of Orthodox Ukrainians and Jews. In retribution, armed Zaporozhiyan Cossacks regularly attacked Polish Gentry Estates and Catholic Church Institutions. The Commonwealth Elite wasted enormous amount of money for personal projects. This reckless behavior led to near total financial collapse of the Commonwealth. The Elite imposed additional taxes on hard-working Ukrainian peasants. The Jewish Spiritual Leaders often warned their Community Members about the Commonwealth Elite's immorality. They advised their fellow Jews not to participate in collecting additional taxes from Ukrainian peasants. The Jesuits' conversion policy, the Commonwealth suffocating taxes, open discrimination by Magnates & Gentry created an enormous discontent in Ukraine's populace. The Commonwealth's neighbors (Muscovy, Turkey and the Crimean Khanate) were envious of its prosperity. They conspired to destroy the Commonwealth. Muscovy Tsar Alexii was rigorously trained by the best mentors of his time. When he became a Tsar, Alexii immediately formed the "Tsar Security Council" and populated it with the brightest of Muscovy Elites. Bribe Zaporozhiyan Cossack Leaders with gold, jewels and furs. Provide Leaders of Zaporozhiyan Cossacks with honorary titles: "Boyar of All Russia Tsar", "Prince of Tsar", "Aristocrat of Tsar", etc. Sign secret "mutual assistance" treaties with the Zaporozhiyan Cossacks against the Commonwealth. Antagonize conflict between the Orthodox, Catholics and Jews. Destroy the Commonwealth's main sources of income: agriculture and livestock. Bribe Leaders of Zaporozhiyan Cossacks with gold, jewels and furs. Provide Leaders of Zaporozhiyan Cossacks with honorary titles: "The noble messenger of the Turkish Sultan" and "The noble Vizier of the Crimean Khan." Sign secret "mutual assistance" treaties with Zaporozhiyan Cossacks Leaders against the Commonwealth. Perform joint attacks on Poland, Moldova, Romania and Ukraine. These policies significantly weakened the Commonwealth's ability to protect its southern and eastern borders. All of this prevented peaceful, democratic developments in Ukraine. The entire country was now a powder keg! Then in 1648, Commonwealth King Vladislav died. Almost overnight, Ukraine exploded with unprecedented force and the Commonwealth was engulfed in total anarchy. Immediately, Bohdan Khmelnytsky wrote to Ukrainians and Zaporozhiyan Cossacks: "We must fight for Ukraine's independence! Poles are increasing their oppression over us! The Jews are keeping us down! We must destroy the Poles & Jews!" The Cossacks Leaders and Ukrainian Orthodox Church Hierarchy agreed with Khmelnytsky's plea. In each Orthodox Church, Priests conducted prayer services for "Ukraine's liberation" and sanctified "holy weapons." The anti-Catholic and anti-Semitic atmosphere erupted into nationwide sectarian violence. 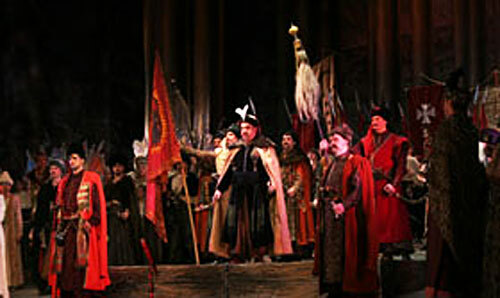 Bohdan Khmelnytsky and Zaporizhia Cossacks will report directly to Muscovy Tsar. Polish and Jewish property will be confiscated and transferred to Khmelnytsky and Zaporizhia Cossacks. The Muscovy Tsar will receive his share of spoils. The Crimean Khan will abduct many thousands Ukrainian men, women, children as slaves. The Crimean Khan Tugay Bay led his army of 4000 to join forces with the Cossacks. Khmelnytsky, Zaporozhiyan Cossacks and many Ukrainian Peasants (Haydamaks) gathered in Zaporozhiya Sich. The Jews learned about Khmelnytsky's uprising and warned the Commonwealth Marshals Potocki & Kalinowski. But, the Commonwealth Military Leaders ignored the warning. On May 8, 1648 the Commonwealth troops suffered a brutal defeat at Yellow Waters. Potocki was killed and Kalinowski was captured. The day after the battle King Vladislav IV died. The destruction of Polish–Lithuanian Commonwealth was now in full speed. By the autumn of 1648 Khmelnytsky Uprising was widespread. Hordes of Zaporozhiyan Cossacks, Muscovite Troops and Haidamak Gangs stormed and looted Pereyaslavl, Piryatin, Lubny, Lokhvytsya cities. The Haidamak Gangs brutally executed thousands Poles and Jews. The most brutal Haidamaks chieftains were: Krivonos, Morozenko, and Khmelnytsky's son Timothy. Only 3,000 Jews managed to escape but were captured by Tatars, taken into Crimea then transferred into Constantinople. Luckily, many Jews were saved by Jewish Community of Constantinople. In September 1648 the Khmelnytsky troops reached the walls of Lviv and began the siege. Many inhabitants of Lviv died from starvation. Then the survivors gathered an enormous ransom for the Khmelnytsky. Much of the ransom was paid by the Jewish communities of the city. Then Khmelnytsky gangs went to loot Zamosc, Lublin and Warsaw. The Jews, Poles and Ukrainian Orthodox-Catholics actively defended many Ukrainian cities against Khmelnytsky & Muscovite troops. The wars escalated into plague epidemic throughout the Commonwealth. Bohdan Khmelnytsky: "Forever with Moscow! Forever with Russia!" Khmelnytsky & Zaporozhiyan Cossacks confiscated all Polish and Jewish property. Khmelnytsky was honored as "Hetman of Ukraine"
Muscovy Tsar awarded Khmelnytsky as "Honorary Boyar of All Russia Tsar" & "Duke of Muscovy Tsar." Muscovy Tsar enslaved many Orthodox, Catholic and Jewish men, women and children. Muscovy Tsar collected enormous loot from the Commonwealth. Crimea Khan troops enslaved many thousands of Orthodox, Catholic and Jewish men, women and children. The new Local Authorities persisted with total theft. The Polish–Lithuanian Commonwealth was completely destroyed. 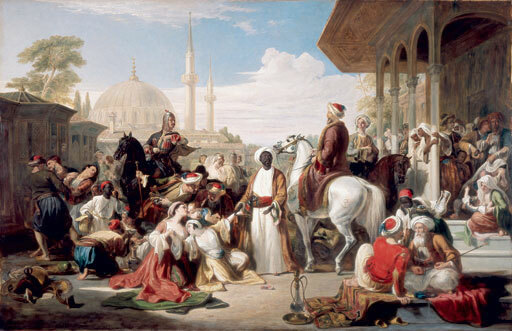 Before Khmelnytsky's uprising, Commonwealth supplied Europe more than 400,000 cattle per year. But in 1707, after Khmelnytsky's uprising, Europe received only 70,000 cattle (83% reduction). Poland, Lithuania, Ukraine and Moldova plunged into hundreds of years of total starvation. Most Jewish communities were destroyed by Khmelnytsky Gangs. VOLYN REGION: Alexiiandria, Berestechko, Bazhin, Brody, Gucha, Kolka, Koretz, Kovel, Kovno, Lutsk, Lyubar, Lyuboml, Myropil, Narol, Orsha, Ostrog, Polonnoye, Polotsk, Ponoramye, Slutsk, Sokol, Starodub, Starokostiantyniv, Stariy, Buchow, Strelitz, Shebershin, Taykury, Zbarazh, Zamosc, Zaslavl. KYIV METROPOLITY: Borispol, Belaya Tzerkov, Byeliy, Byeliy Stone, Chirikov, Dubovaya Volost', Fastow, Kiyv, Konotop, Kopys, Makhnivka, Pereyaslavl, Posen, Priluki, Trilisy, Tuchin, Zmiyev, Zotov, Chernihiv. Nearly all Greek-Catholic Communities and Churches were destroyed in Ukraine. Nearly all Polish Catholic Communities and Churches were destroyed in Ukraine. Major Ukrainian and many Russian cities contain public streets and squares honored in their names. 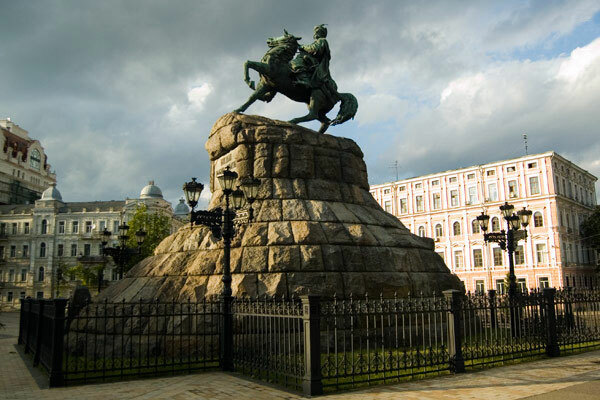 In Kyiv, in front of ancient St. Sophia Cathedral, there's a public square and a monument dedicated to Bohdan Khmelnytsky. 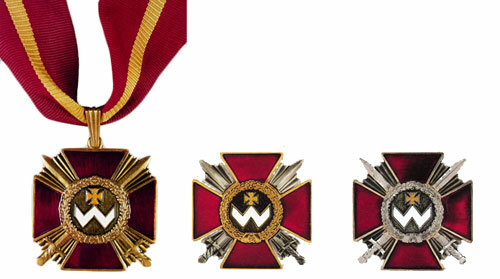 Ukraine and Russia established a "Military Order of Bohdan Khmelnytsky." Ukrainian military schools and military units bear Khmelnytsky name. Ukrainian Orthodox Church recognized Bohdan Khmelnytsky as a "Savior of Ukraine." 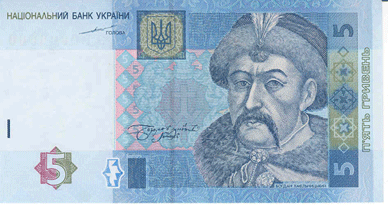 Bohdan Khmelnytsky's portrait is prominently displayed on 5-UAH banknotes from the National Bank of Ukraine. For many centuries, the Polish–Lithuanian Commonwealth prospered. Millions of Poles, Lithuanians, Ukrainians and Jews lived and worked together in harmony. But then, Khmelnytsky and his cronies conspired, destroyed and looted the Commonwealth. For centuries afterwards, Ukraine and its neighbors submerged in total desolation. Today, Ukraine is viewed as a Third-World country. Ukrainian Government glorifies Bohdan Khmelnytsky and refuses to acknowledge his role in the country's bloody past. But the future looks promising. More and more Ukrainians openly question their Government's policy. We hope some day that Ukrainians will view Khmelnytsky as a Traitor of Ukraine.